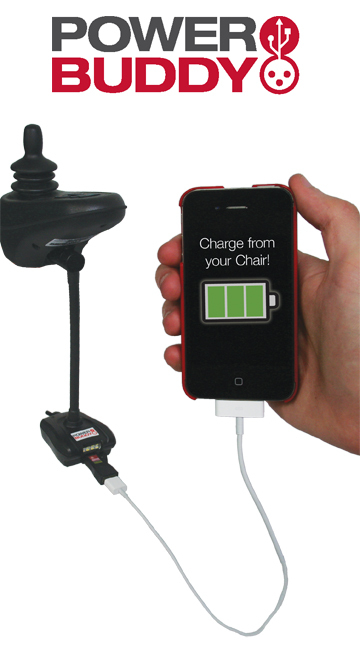 The Power Buddy is an intelligently designed and affordably priced power wheelchair accessory that will allow you to charge your phone and other electronic devices using your chair's battery. 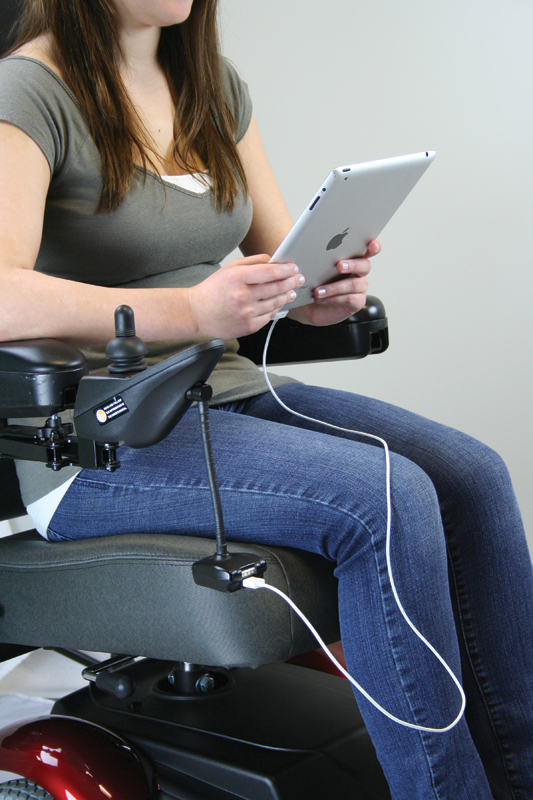 No matter what kind of power wheelchair or mobility scooter your use, the Power Buddy can be plugged into the charging port and adjusted and rotated for maximum accessibility. 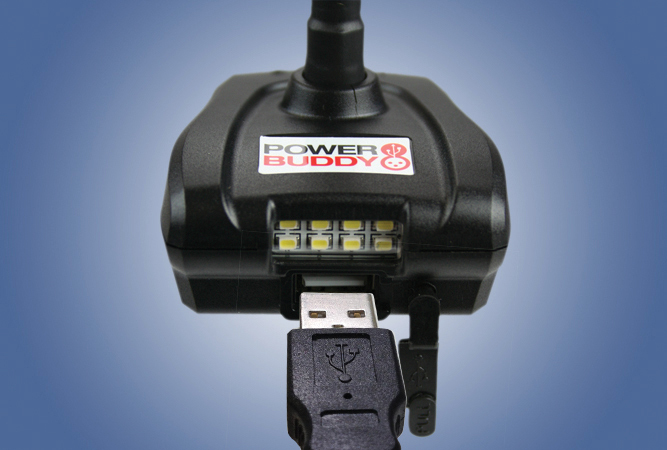 In addition, this device features two rows of LED lights that provide an added measure of safety and convenience.